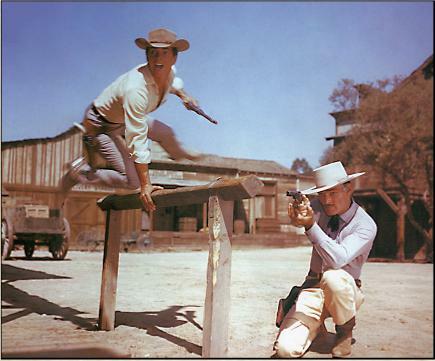 In the collective opinion of our NiteOwl video group of baby boomers, Lawman along with Maverick, represented the best of the Warners westerns which dominated ABC in the late 1950s through the mid 1960s, although we liked them all. Where Maverick was a delightful, light-hearted romp with occasional serious moments, Lawman was a straightforward serious western with occasional light moments. The half-hour format, almost unheard of today for a drama, required a compact, no frills story. There was little time for romance or development of secondary characters. Despite those limitations, the series did a good job of developing the two main characters and their relationship while presenting a solid story. The stand-out quality of Lawman may be attributed in great part to the efforts of the two stars both of whom came to the series as excellent horsemen and gun handlers as well as actors dedicated to their craft. They were perfectly cast and together "conspired" to maintain the consistency and integrity of their characters in the face of constantly changing writers and directors, barebones budgets and frantic shooting schedules. 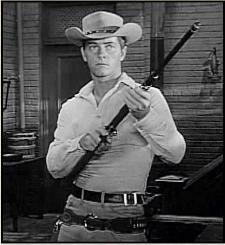 John Russell, a 6'4" ramrod straight ex-Marine with the most compelling steely gaze on television, embodied the courageous, no-nonsense Marshal Dan Troop. 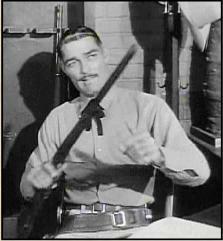 Russell reportedly modeled the character after a superior in the Marine Corps. Russell was thirty-seven when the series started, only fourteen years older than his young costar. 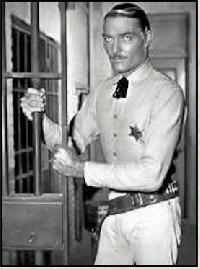 However, he saw Dan Troop as an experienced, tempered lawman in his mid to late forties. 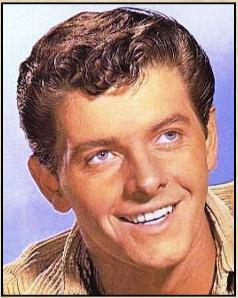 To that end, he added gray to his hair and played the character a decade older than he himself was, something not common in youth conscious show business. 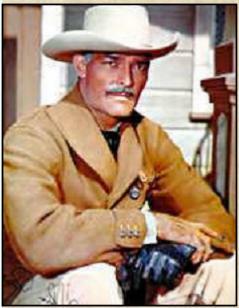 Lawman was one of the many western series which dominated television in the late 1950s thru most of the 1960s. The black and white, half-hour show ran for four seasons, debuting on October 5, 1958 and ending its run on October 2, 1962. The last new episode aired on June 24, 1962. (Summer reruns used to start much later in the season.) In its four seasons, Lawman broadcast 156 episodes, 39 episodes per season, about a third more than a modern series generally broadcasts. Lawman opened with Marshal Troop tossing a rifle to Deputy McKay who, in the first season and part of the second, sighted it but later just hefted it with approval. For most of its run, it followed Maverick at 8:30 p.m. on Sunday nights paired with Colt .45 or The Rebel and opposite that Sunday night classic, The Ed Sullivan Show. In Lawman's final season, Maverick, which was struggling without James Garner, was moved to 6:30 p.m. on Sundays (Sunday prime time used to start earlier) and Lawman was isolated between two short-lived, one-hour, non-western dramas, Follow the Sun and Bus Stop for most of the season. 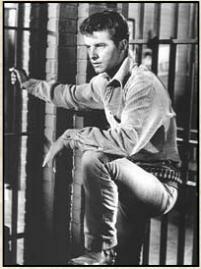 In April of 1962 Lawman moved to 10:30 p.m. until its last rerun was aired on October 2, 1962. Despite its high-powered competition and the sheer number of westerns aired at the time, Lawman generally achieved decent ratings, hitting No. 15 in its second season. It might well have continued it's run had ABC not decided to run a two-hour movie on Sunday nights. When the producers were offered a less desirable time-slot by the network, they declined and one of the best westerns on the small screen was cancelled. Together the two men portrayed a classic mentor/protégé team that fell just shy of a father-son relationship. The series generally avoided sentimentality, but for those who looked for it, the bond between the two characters was stronger than the words exchanged would suggest. 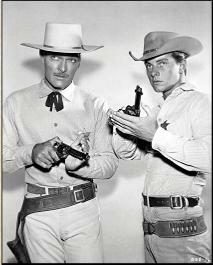 The promos for the series described Dan Troop as a lawman of "strength and purpose" and Johnny McKay as "the boy he trained to fight by his side." 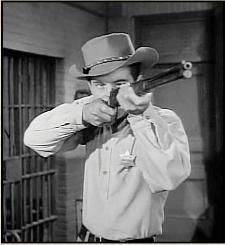 Have any Lawman trivia, corrections, suggestions, pictures?